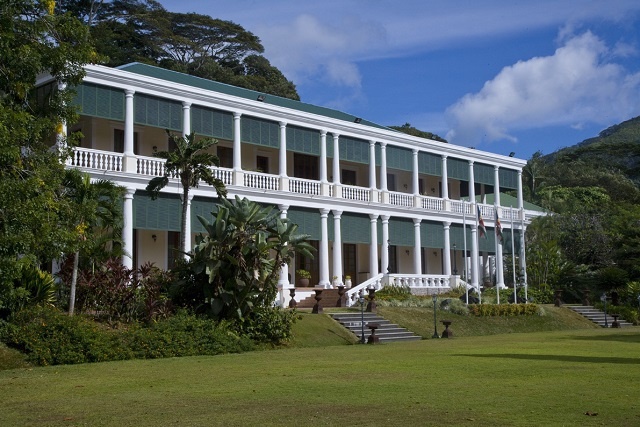 (Seychelles News Agency) - The nation of Seychelles on Wednesday was still digesting the news that President James Michel intends to step down on October 16 and that Vice President Danny Faure will take over the presidency. Michel announced his surprise decision in a televised address on Tuesday evening. While many people have expressed shock, other reactions included sadness and joy. Though Michel's political party, Parti Lepep, had just been defeated in the September polls, losing a majority in the National Assembly for the first time since 1993, Michel was only in the first of his final five-year term as president. Michel, 72, has been in power for 12 years and has been a minister of the cabinet for almost 40 years. Most residents who spoke to SNA said they were not expecting the president to resign so early into his new mandate. "I wasn't expecting this. He is a good person and I hope that the next president will be as good as he [President James Michel] was," said Marie Maria. "I feel that he hasn't given enough details as to why he is stepping down. I don’t think that it’s okay for him to make such a move as his five-year mandate is not completed. Even if all this is in accordance with the constitution, as a [Parti] Lepep supporter I don't feel it was the right move to hand over power," Clifford Paul told SNA. “I’m shocked, that’s all I can say,” said Vincent Jeanevole. "I am happy. It was about time. Forty years [of Parti Lepep in power] is too long. Personally, I do not believe in handing over power to a new leader. I think that a fresh election is what is required. The people should be the one to choose their president," said Jean Claude Hoareau. “I am heartbroken that he has resigned because I am an ardent SPPF [former name of Parti Lepep] supporter so I don’t like it, I would have preferred he stays and complete his five-year mandate,” said Elzida Joubert. “I think his decision was too soon. He should have given more support to the people and his supporters because now it seems like a defeat to his people. He should have stayed and reassured his supporters and then further down the line as work continues with the opposition then he could have resigned. Now he has left his supporters in a hole and they do not understand what is happening,” said Fred Nalletamby. “It is shocking news. I personally do not affiliate myself with politics but if you look at how democracy is in our country, we are seeing the real democracy unfold. I think the President is afraid of a challenge,” said Steve Elizabeth. Michel has been at the helm of the Seychelles' government since 2004, when the former President France Albert Rene, who had been in power for 27 years, handed over the presidency to him. Michel who is also the leader of Parti Lepep [People’s Party] went on to win the 2006 and 2011 elections. His decision to resign comes only 10 months into his third and final five-year mandate at the helm of the island nation’s government. Michel was declared winner of a December 2015 presidential run-off, winning 50.15 percent of the total votes cast. His surprise announcement also came the same day that a National Assembly controlled by the opposition coalition Linyon Demokratik Seselwa (LDS) was sworn into office. “It should be clear to the people of Seychelles on what ground he has taken this decision,” said Mancienne, adding that the assumption is that his resignation has something to do with the election of the new National Assembly. The Attorney General Ronny Govinden has said that the Seychelles’ constitution allows the president to resign at any given time during his mandate. “There is no time limit when he can do that. He can resign one day after being elected or the last day of his mandate,” Govinden said to SNA, adding that the government does not have to give any reasons for his resignation. In his address, President Michel said he will be sending his letter of resignation to the Speaker of the National Assembly, Patrick Pillay on Wednesday as stated in the constitution. According to Govinden, the president can state if the resignation is with immediate effect or not. “In this case the president has announced that his vice president will take over leadership of the country on October 16, so he remains president until that day when he will hand over power to VP Faure,” he explained. The Seychelles’ constitution makes provision for the vice president to assume power in the event of the president’s death, resignation or removal from office instead of allowing for fresh elections to take place. This means that in accordance with a constitutional amendment approved in April, that limits the presidential term to two five-year mandates, down from three five-year terms, Faure will then be able to stand for only one other five-year term. Once he takes office, Faure will have to nominate his vice president and designate minister, which will need the National Assembly’s approval. It is the second time in Seychelles’ history that a president resigns. In 2004 the then-President France Albert Rene the founder of the Seychelles People’s United Party (SPUP) now Parti Lepep, resigned and made way for his running mate, James Michel to take over the rein.